EXUMA, BAHAMAS, FEBRUARY 5TH— Get­ting from our home island of Eleuthera to oth­er Bahami­an Fam­i­ly islands is com­pli­cat­ed, usu­al­ly requir­ing air trav­el via Nas­sau. 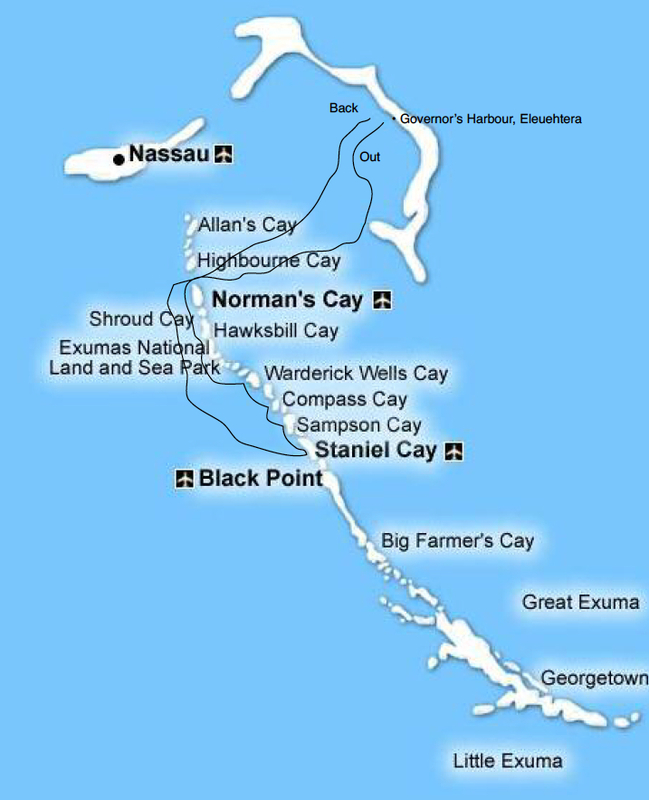 But the near­est of the Exu­ma Cays is only about 40 miles from Cape Eleuthera, or 65 miles from Governor’s Har­bour, and you can do that in under two hours in a fast boat. So off we went from Cupid’s Cay aboard Capt. Paul Petty’s immac­u­late Mar­lin 35 skiff, Mar­ti­nis & Biki­nis.